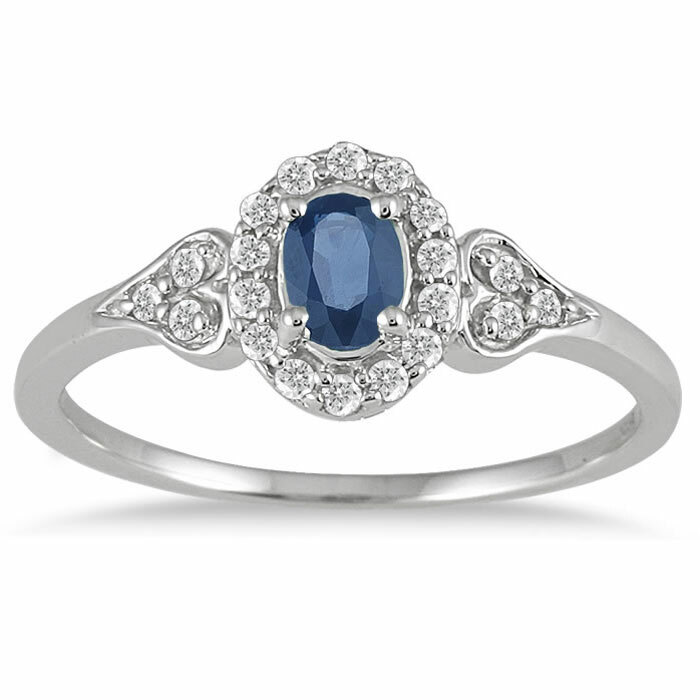 Few gems contrast so beautifully with a diamond as a sapphire, and this style takes full advantage of this gorgeous paring to create a piece with enduring sophistication. This Sapphire Vintage-Style Diamond Ring in 10K White Gold provides a richly-colored take on a classic style that's always just right and that contains a romantic little touch. 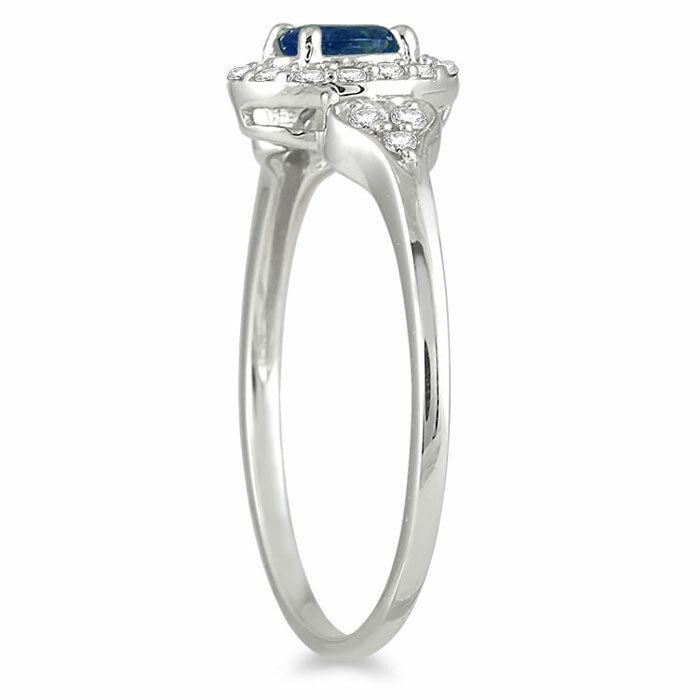 The focal point of this halo ring is a deep blue sapphire, an oval-shaped gemstone 5mm high and 3mm wide. One of the classic precious gemstones, this richly-hued indigo stone has been drawing eyes in jewelry since biblical times, and just one glance at its glamorous glimmer makes it easy to see why. It's this gem's saturated color that allows it to be offset in such stunning fashion by 0.15 carats of diamond accents. 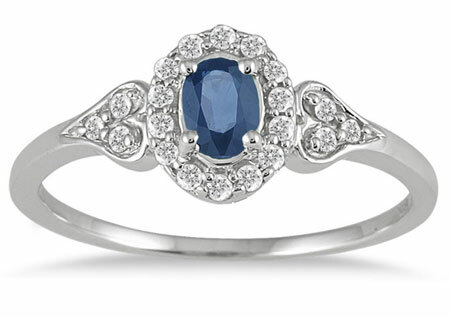 Surrounding this sapphire are 14 small round diamonds that frame this gem with colorless dazzle. Three additional diamonds adorn the gleaming hearts that point the way to the center stone, for a grand total of 20 accent stones. These little emblems of love give this ring a sweet yet sophisticated personality, and make this the perfect ring for celebrating a love that's true blue and that's always in excellent taste. We guarantee our Sapphire Vintage-Style Diamond Ring, 10K White Gold to be high quality, authentic jewelry, as described above.